MIAMI -- More than 300 Catholic bishops from across the U.S. gathered Wednesday for their Spring Assembly in Fort Lauderdale, where they made a strong political statement against several immigration policies of the Trump administration, CBS Miami reports. A statement, read by Msgr. J. Brian Bransfield on behalf of Cardinal Daniel DiNardo, said the bishops take issue with Attorney General Jeff Sessions' decision to limit asylum seekers who are fleeing domestic abuse or gang violence from trying to stay in the U.S.
After the statement was read, Cardinal DiNardo asked the crowd of bishops: "Brothers, do I have your support for this statement?" Applause rang out. Homeland Security Secretary Kirstjen Nielsen said in an interview several days ago that it's a matter of law. 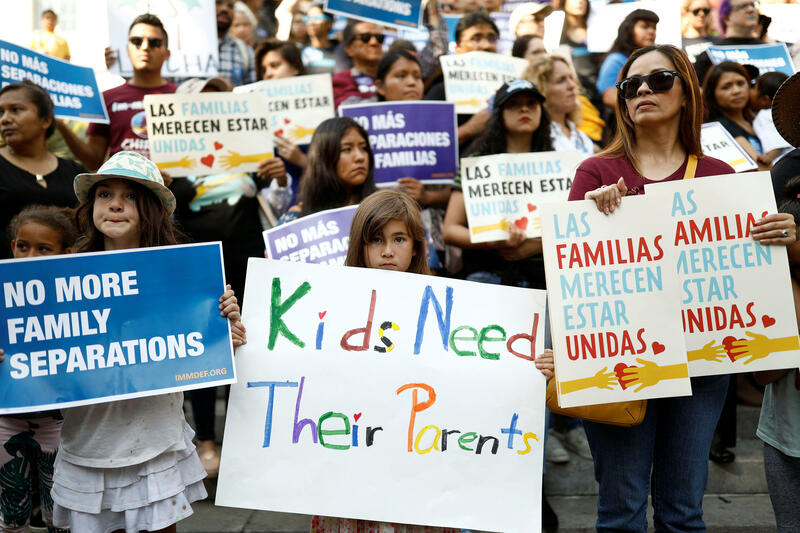 Thomas Wenski, the Archbishop of Miami, said the church should urge Catholics to vote for candidates who want fair and humane immigration reform. Wenski said the policies are misguided. "We have to make America great, as our president says, but we're not going to make America great by making America mean," Wenski added. One U.S. bishop from Arizona, Edward Weisenburger, had an even stronger suggestion. He suggested any Catholics involved in separating children from their parents might be stripped of their ability to receive the sacraments or possibly be excommunicated from the church. CBS Miami reached out to a number of South Florida legislators for comment on the bishops' statement. Congresswoman Debbie Wasserman-Schultz responded, saying, "The Catholic Bishops gathered in Fort Lauderdale Speak for the vast majority of Americans who are horrified by President Trump's cruel and immoral immigration policies. Separating children from their parents, and refusing asylum to women seeking refuge from domestic violence is not just dangerous, it is monstrous and inhumane."